New release from Altaro a few days back. 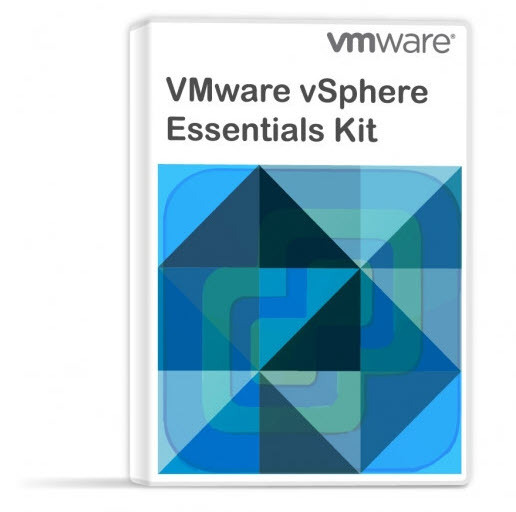 This backup vendor is not so well known so far within VMware virtualization community, but they’re very active and they work hard to catch up. They’ve been in the backup business for a while, but at first, focused on Microsoft Hyper-V environments. Altaro VM Backup v 8.0 released just a few days ago, so this post will highlight what’s new within this release. Today’s post will show you some new features added to this multi-hypervisor data protection suite. Altaro can backup and replicate (to on-site or off-site locations) production VMs in order to protect them. 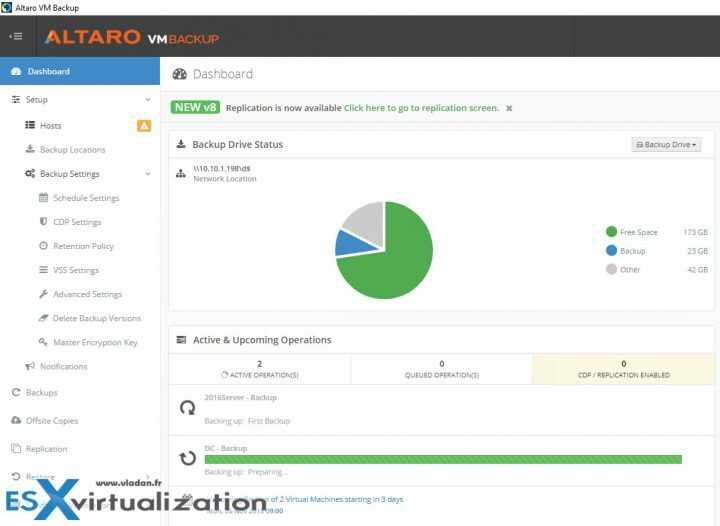 Altaro VM backup can also be used by service providers and back up or replicate customer’s environments. They have a Subscription Billing, which is a licensing model based on usage and part of the Altaro VM Backup for MSPs program. They just added a WAN-Optimized Replication to their offering, with the ability to replicate VMs to the MSP’s infrastructure. WAN-Optimized Replication – It replicates VMs to a remote site, (or to another on-prem site) and allows to create a copy of VM(s) which can be instantly powered ON in case of production VM(s) failure or production site failure. Obviously, this reduces RTO time as you have the option to configure a replication interval as low as 5 min. Office 365 Mailbox protection for MSPs – Service providers can now protect O365 environments of their clients. MSPs can manage and monitor the mailboxes they are handling per customer through a centralized, multi-tenant online management console. The previous release has brought Continuous Data Protection (CDP) – Users can switch from running daily backups to a continuous data protection model yielding an improved Recovery Point Objective (RPO) of up to 5 minutes. When CDP is enabled, VMs can be backed up as frequently as every 5 minutes. Note that the CDP still uses hypervisor snapshots in this case. The CDP screen below shows you how to configure it on Per-VM basis. Screenshot from my lab. Grandfather-Father-Son Archiving (GFS) for Local Backups – Users can choose to archive local backup versions in addition to their continuous and daily backups instead of deleting them. Now you can configure three separate backup cycles to store three new backup versions every week, every month and every year. 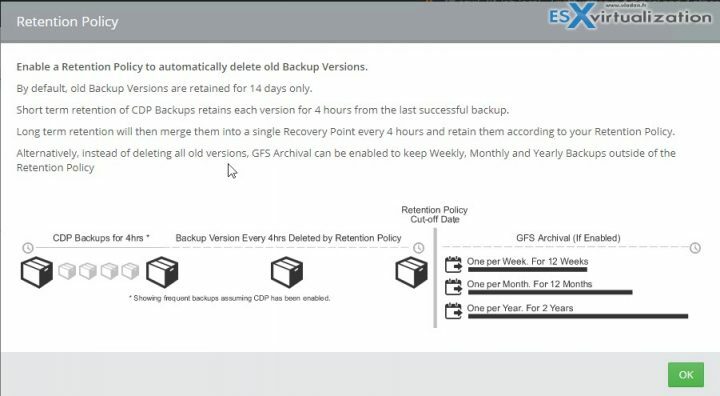 Retain Weekly, Monthly and Yearly backup versions outside of the retention policy. Altaro has another piece of software called Altaro Offsite Server. It is a Free Add-ON. The Altaro Offsite Server can reside on remote machine reachable through WAN or LAN. You’ll need to download an add-on called Altaro Offsite Server. A while back I wrote an article How to setup an Altaro Offsite Server. Back up to other public clouds – Back up to other public clouds – The Altaro Offsite Server, provided at no cost, can be installed on a VM in any cloud platform such as AWS and Google Storage, to act as a backup server in the cloud. Unlimited Plus – access to Cloud Backup Console, Backup to Azure, WAN-optimized replication, Continuous Data Protection (CDP). Check the latest offerings from Altaro here. Altaro has also Pay-as-you-go model is transparent to the end customer where MSP has an income stream assured on regular basis. It’s called a Subscription Billing, which is a licensing model based on usage and part of the Altaro VM Backup for MSPs program. You can check further details on how it works in our post here. Download a free trial from Altaro website here.